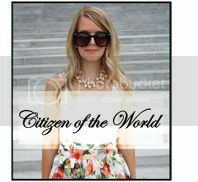 Citizen of the World: Perfume & Scents! 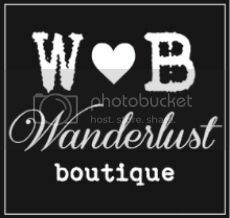 One of the things that came up through all my searches on Pinterest for wedding ideas was the thought of having a special scent or perfume for you big day. I really loved that idea. Something special that would always remind you of the day! I am a perfume lover as it is. I've always thought of having one perfume that defines you is perfect, not constantly changing it up like outfits. It's like marketing and branding yourself...your scent adds to your look and who you are, how you are creating yourself for the world to see. There is something so beautiful and powerful about a woman with a great smell that trails behind her as she walks by. So, here is my perfume progression over the years. The first real perfume I bought and ending up with the one I will be switching to on my wedding day and possibly forever I love it that much! Take note, I love sweet and floral scents. Most of my perfumes have always had a heavy vanilla undertone but not so much that I end up smelling like a cupcake! 1). Empress Lily by Stacked Style: It is an innocent and slightly sweet scent of East meets West. Top notes: Japanese lotus, lychee and Asian pear. Heart: heliotrope, orris, jasmine and lily-of-the-valley. Base: vanilla, amber, musk and exotic woods. 2). 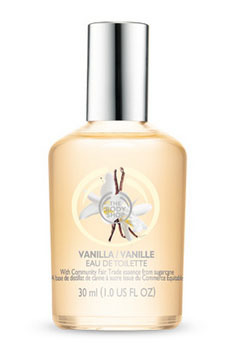 Vanilla From The Body Shop: Eau de toilette, light and wearable, warm, seductive and contains actual vanilla extract! 3). 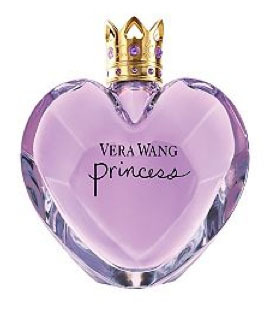 Princess by Vera Wang: Vera Wang Princess begins with notes of waterlilly, lady apple, mandarin meringue, and golden apricot skin. Mid notes of ripe pink guava, Tahitian flower, wild tuberose, and dark chocolate which give way to delectable base notes of pink frosting accord, precious amber, forbidden woods, royal musk captive and chiffon vanilla. 4). 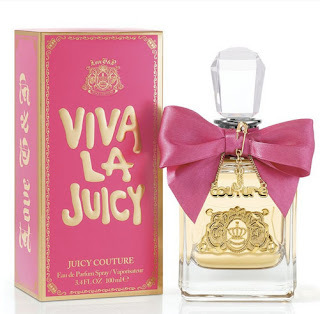 Viva La Juice by Juicy Couture: This has been my latest and greatest! I have been wearing this perfume for over 6 years! It's what I'm currently wearing now. 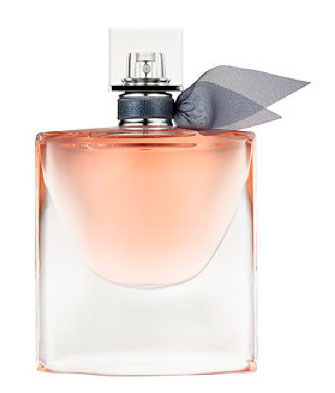 I adore it and never thought I'd change it up until I found the perfume to wear on my wedding day. 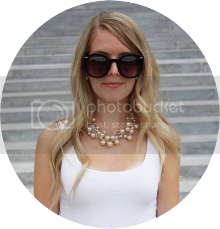 The description on their website says it all: The Viva la Juicy girl never turns down a glass of champagne or the chance to get into the tiniest bit of trouble. Viva la Juicy combines delicious wild berries, with creamy vanilla and bright jasmine. 5). La Vie Est Belle by Lancome: This is my wedding day perfume and what I may switch over to permanently after my last bottle of Viva La Juicy is gone! The juice is made with the most precious natural ingredients, a modern interpretation of an oriental fragrance with a twist of gourmand. It entwines the elegance of iris with the strength of patchouli and the sweetness of a gourmand blend for an incredible scent with depth and complexity.